Whether its starting a new project, aiming for a new goal, or stretching into a new phase - each scenario is full of risk - and also possibility. I thrive in that fertile grey area of the yet to come. I love to wrangle with it and shape a new reality. My 12 year career extends across a variety of sectors and industries, but the common theme has always been making big visions come to life. I've managed the creation of a new Children's Advocacy Center program, managed the renovation of a 26,000 sq. ft. non-profit facility, and over 30 large military projects for use on US Navy aircraft carriers and battleships. Check out my LinkedIn page for me. I work with purpose driven individuals and small businesses that are bringing good into the world. See below for a few examples. Carly Ebenstein is a life coach who values being present with her existing clients. She wanted help to focus on the work of marketing her business. We worked together to develop and implement a complete digital marketing strategy that will meet her goals and her time constraints. Now she can help her existing clients and share her wisdom with a broader audience. 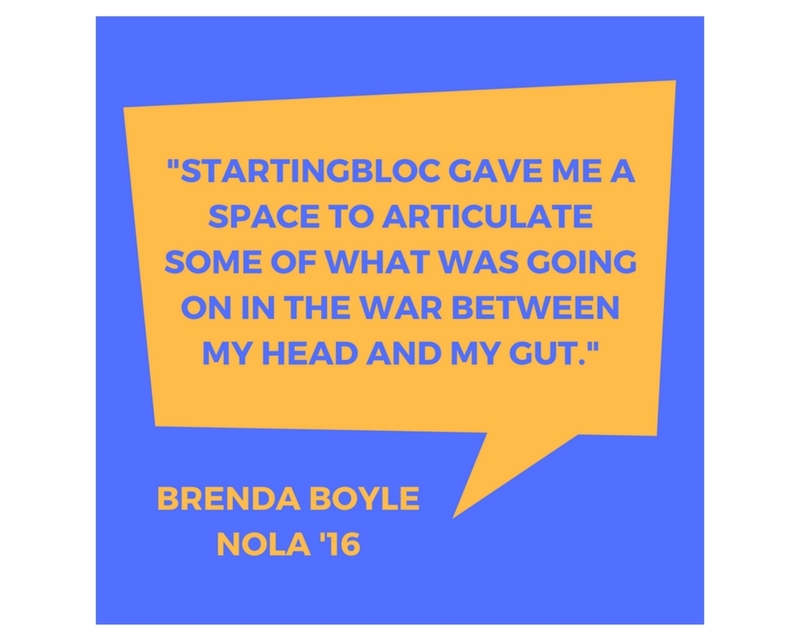 StartingBloc is a fellowship program that convenes, supports, and grows leaders from high-potential to high-impact. 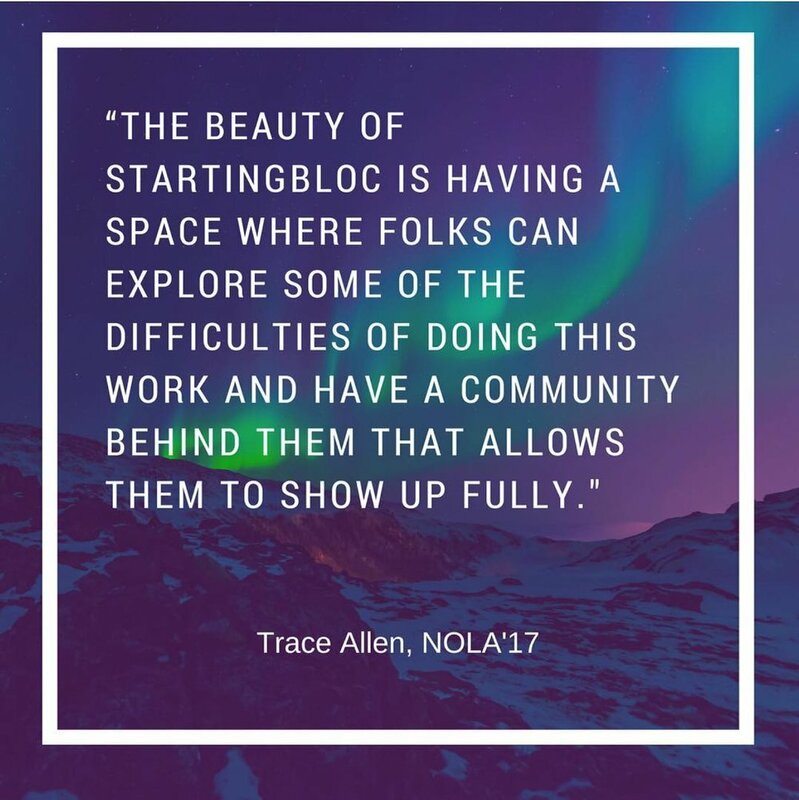 StartingBloc wanted to showcase their real-life and long term impact to donors. 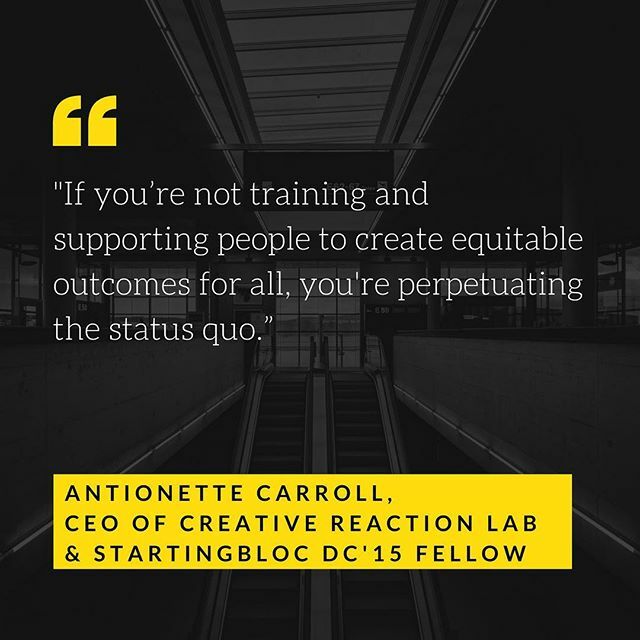 We set up a process of personal interviews with Fellows to understand the role that StartingBloc played in their journey towards creating impact in the world. I also interview the Fellows, write their profiles, and maintain the story collection process. StartingBloc uses these stories not only for donors, but also as shareable content for their social media, blog and community newsletters. Click to view closer. BollyWERK is a train-the-trainer community organizing framework that roots civic engagement in the joy of shared movement. For this project I worked with the founder to solidify her vision and craft the most powerful narrative that could capture the energy of her idea. From there I helped translate that vision into a website to share that story with a growing audience. Click the arrows to see more. My full portfolio includes website redesigns, email newsletters, white papers, book proposals, and video scripts, as well as blog articles that have been on the Forbes blog and in the Harvard Business Review. To respect my clients' privacy, this content is only available privately, upon request.